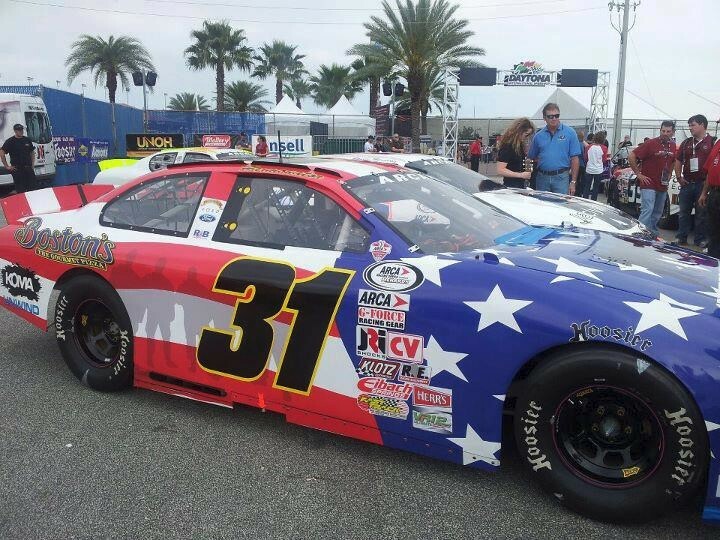 In Talladega, AL, lining up our next race to honor one of our fallen. 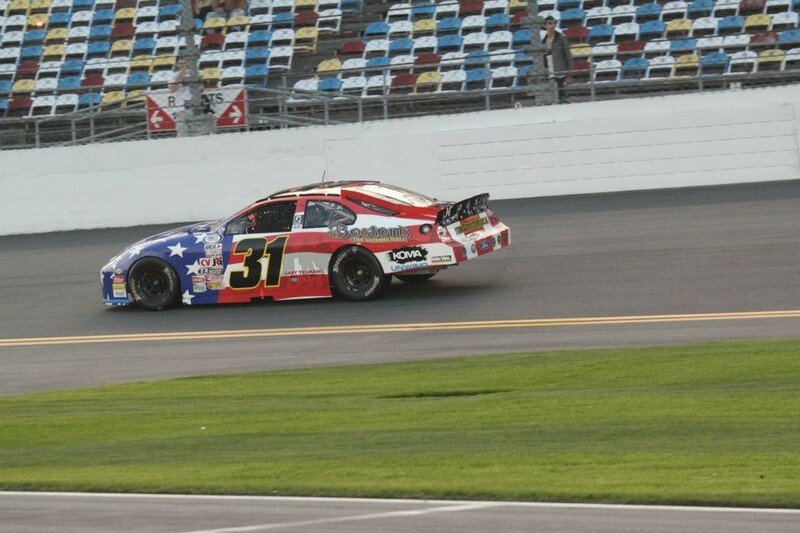 This American Hero is a Talladega native, that we lost in Iraq in 2006. Meeting with City Council members, family members, representatives from Talladega SuperSpeedway, local businesses and more! Huge support already, I’m here for 2 1/2 days to line this all up and be well prepared and ahead of the curve when we get back for race weekend! What an amazing day we shared at the ARCA Mobile 200 with 2 members of USCG ATC Mobile as honorary crew members. The day started off with an autograph session and the amount of support from the fans with the hood of the car and handshakes and a thank you to these two servicemen was incredible. Had many great discussions on the hood and having the Coast Guard members there, and that we were presenting them with the hood postrace to take back to the air station for the rest of the unit to be able to see and enjoy. Just another step in the right direction in the healing process for this whole community!!! The Marine Corps Color Guard presented The Colors, and our Anthem echoed accross the stands and infield. The track had a handful of bi-planes do a flyover, but little did they know that my two new friends in the pits had a surprise of their own!!! They had a coordinated a flyover from USCG ATC Mobile in the form of a UH-60, and it appeared over the horizon just as the command to start engines was given. When the UH-60 flew over the track, the ENTIRE crowd went CRAZY in cheers and applause, over shadowing the engine noise from the field of ARCA cars!!! To see the USCG ATC Mobile back in the air, and the look of pride on these two servicemen’s faces, you could see the hurt starting to fade in their eyes!!! An incredible step taken by Capt. Tom Maine, Commander of USCG ATC Mobile and his whole Coast Guard family stationed at the air station!!! The car was not the fastest, but you would never have known it watching these two gentlemen in the pits! We could have been on the hood of the race winning team in Cup, or the last place team at the local go kart track, they wouldn’t have cared a bit! The car was involved in a little altercation on the track, and it carried over into a bigger wreck shortly there after. As the #31 rolled back into pit road, with the hood pushed up, and water running from the broken radiator, and sheetmetal dragging, these two guys were loving every minute of it!!! As they said, now the hood they were going to present to their Commander has some “battle scars” of it’s own!!! We took the hood off and presented it to them, took some great photos, and off they went to take their hood home to USCG ATC Mobile, where it will be presented to the Commander and put on display for all of the air station to enjoy and remember that day, forever!!! Peterson Motorsports with American Heroes Racing paid tribute to the 4 service men who gave their lives when tragedy struck and Coast Guard helicopter 6535 went down in Mobile Bay on Tuesday evening on February 28,2012. The coast guard social media team has created a graphic to memorialize the crew: Lt. Cmdr. Dale Taylor, Lt. j.g. Thomas Cameron, Chief Petty Officer Fernando Jorge and Petty Officer 3rd Class Andrew Knight. 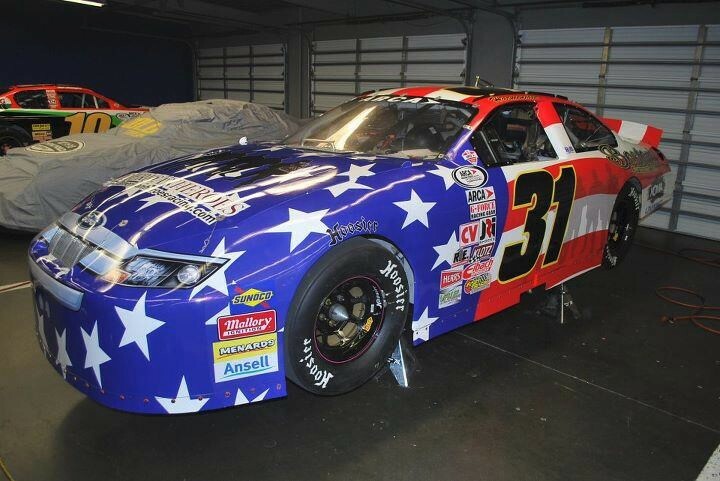 American Racing Heroes displayed the memorial graphic on the hood of Peterson Motorsports car #31 driven by Tommy O’Leary at the Mobile ARCA 200 on March 10, 2012. After the race the race car hood will be removed and presented to representatives of the Coast Guard Aviation Training Center at Mobile Alabama, to be displayed at the base. Our thoughts and prayers are with the families of the crew members during this difficult time. The accident happened at approximately 7:20 p.m. local time when a Coast Guard MH-65C helicopter crashed approximately 3 miles (4.8 kilometers) from the shore in Mobile Bay, a Gulf of Mexico inlet which is located in the state of Alabama. Four people were on board. The Coast Guard immediately launched an intensive search in the hope of finding survivors. Coast Guard units involved in the search were 2 each 87-foot Coast Guard Cutters the Stingray and the Cobia, one HC-144 Ocean Sentry air craft, each homeported in Mobile, two MH-65C Dolphin helicopters and crews from Coast Guard Air Station New Orleans, one MH-60 Jayhawk helicopter and crew from Coast Guard Air Station Clearwater, Florida, two 26-foot Trailerable Aids to Navigation Boats and crews from Coast Guard sector Mobile, the Coast Guard Gulf Strike Team, the Coast Guard Maritime Safety and Security Team San Diego dive team, Alabama Marine Resources, the Mobile County Sheriff’s Department, as well as Good Samaritan vessels. Soon after the accident, one of the crew members was found unresponsive by the crew of a 26-foot (7.9-meters) Coast Guard Aids to Navigation Boat. The crew member was later declared deceased. Search for the three other crew members continued. The search continued for 36 hours with the units conducting about 30 search patterns that covered 1,198 nautical miles within a search area of more than 200 nautical square miles in Mobile bay. Thursday night U.S. Coast Guard officials reported that they had recovered the bodies of two of the three missing crew members. They were found about 100 yards from where the fuselage of the helicopter was found. In keeping with what makes America the greatest country in the world and Mobile, Ala., a Coast Guard City, the community came together to support the Coast Guard during search and rescue operations. 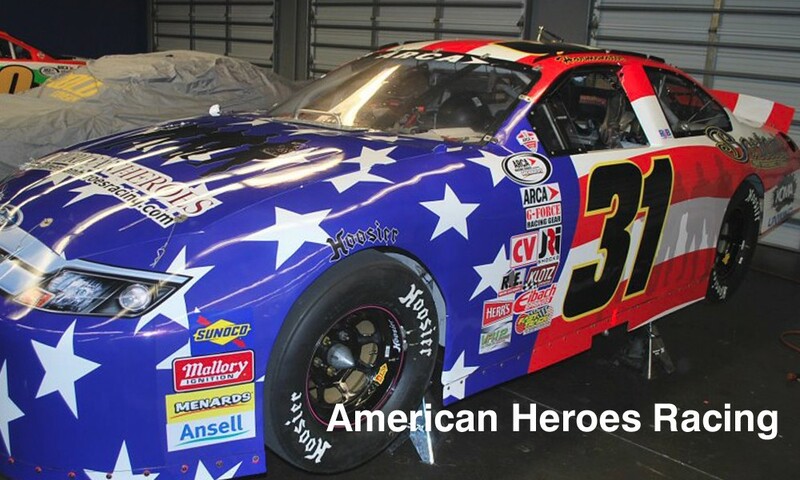 American Heroes Racing and the ARCA Racing Series family offer our support and prayers following the tragic loss of four Coast Guardsmen when Coast Guard helicopter CG-6535 crashed in Mobile Bay. As these days of tragedy give way to a lasting legacy honored by the service and sacrifice of Coast Guard men and women – present and future – the support will not be forgotten. The official memorial ceremony for the 4 U.S. Coast Guard helicopter crew members lost Tuesday night in a helicopter crash in Mobile Bay will be 10 a.m. Thursday at Hangar 2 at the Coast Guard Aviation Training Center adjacent to Mobile Regional Airport. The gate at the Aviation Training Center is on Tanner Williams Road. The ceremony will memorialize Lt. Cmdr. Dale Taylor, of Snow Hill, N.C.; Lt. j.g. Thomas Cameron, of Portland, Ore.; Chief Petty Officer Fernando Jorge, of Cypress Valley, Calif.; and Petty Officer 3rd Class Andrew Knight of Thomasville, Ala. Knight remained missing, and the search for him continued in Mobile Bay in the vicinity of the crash site off Point Clear.